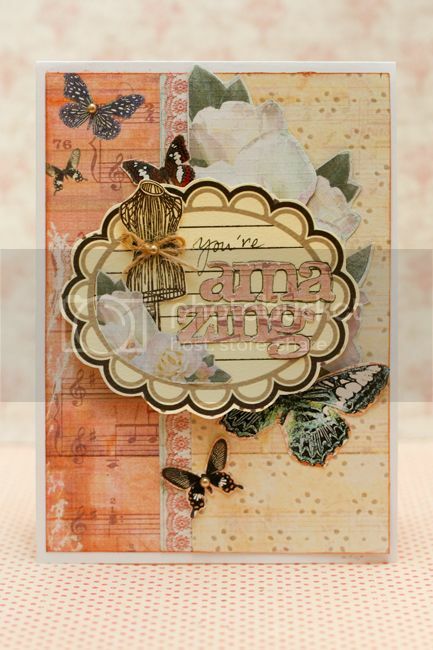 What better way to create with Donna Salazar's 'Spring In Bloom' collection! I am still loving this collection very much. There are so many possibilities with this collection. I wanted to dress the artistic tag just a little. What I did was I slice open the left corner and slip in the fussy cut flower. To top up the prettiness, I added an artistic mannequin :) Lately, I have been cutting a lot with Silhouette Cameo and I tried it on Donna's paper and it's awesome! Hope this card will inspire you to get the Spring In Bloom & artistic papers collection and CREATE! This is GORGEOUS!!! I loveeeeeeee the butterflies and the dress form!! And I totally get your 'no spring' comment, in Arizona, we don't have one either... it goes from a crisp/cold-to-us winter for about 3 months, and then right back to 100 degree temps! lol! 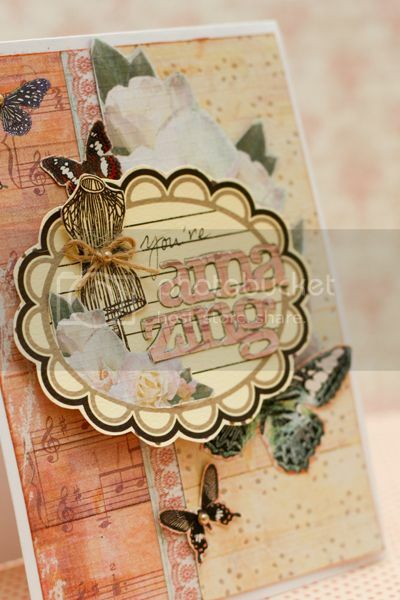 Love the note paper, butterflies, dress form, and how pretty it looks together! Lovely card. Great texture and tones. Like how you outlined the alphas Jessy! Thinking of you today girl! Such a lovely card!! I seriouly heart your handwriting! Look just like stamp! 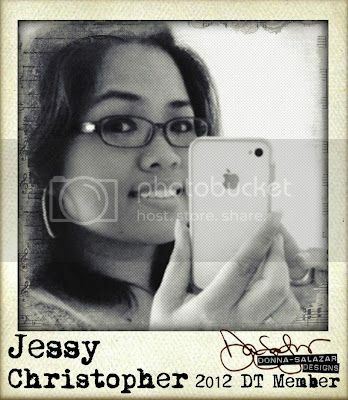 This looks perfectly adorable Jessy! Love the fussy cut flower that goes so well with the butterfly ppare. Take care and have a wonderful week end!! Soooo pretty - and I adore your handwriting!